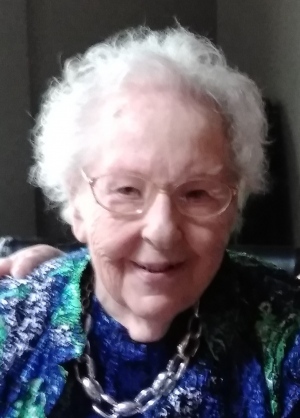 Margaret Louise Reed (Burrows) 93 passed away Saturday April 6, 2019 at her residence in Dennis, after an extended illness. She was the wife of the late Leonard Tynan Reed, who died in 2009. Born in Orange, NJ and raised in Montclair, NJ Peggy was the only child of William Alfred and Margaret Helen (Connolly) Burrows. She was a communicant of The Church of the Immaculate Conception, attended their grammar school and was a member of the adult choir. She was a graduate of Montclair High School Class of 1943. After graduation, she attended Orange Memorial Hospital School of Nursing where she was a member of the U.S. Cadet Nurse’s Corp. She was employed for three years in the emergency and fracture rooms. In 1949, Peggy attended Seton Hall University School of Nursing Education majoring in Public Health and Industrial Nursing, until her graduation in 1953. She was employed for three years as a staff nurse at AT&T Long Lines in New York City. After her children were grown, she volunteered for the Essex County New Jersey Cancer Society offering screening programs. In 1950 Peggy met her beloved husband to be, Leonard Tynan Reed, and they were married at the Church of the Immaculate Conception in 1952. She and Len resided in Bloomfield, NJ, Ridgewood, NJ, Cedar Grove, NJ and Livingston, NJ during their early marriage, and the family attended St. Philomena’s Church in Livingston, where Peggy was a member of the Rosary Society. Their four children attended Livingston High School. She encouraged music education for her children and she was most proud of their family band. Peggy was a member of the Northern New Jersey Saint Bernard Club and attended many dog shows with her Saints. She remained an animal lover all of her life. In 1983, after Len retired, they chose to live in East Dennis on Cape Cod, where they were members of the Dennis Pines and Dennis Highlands Golf Clubs. She became active in the Bayberry Quilters of Cape Cod, and the Stitch and Chatter Quilters at the Dennis Senior Center. She hand-sewed many quilts, and, as a member of the Dennis Bicentennial Committee, she supervised the making of the Dennis Bicentennial Quilt that is still hanging in Dennis Town Hall. Her real passion was genealogy. Peggy was designated as an honorary life member of The Cape Cod Genealogical Society for her service in organizing the Genealogical Research Room at the Dennis Public Library. She was a member of the library’s Irish Interest Group. Peggy and her husband traveled to Montreal, Newfoundland, Ireland, Great Britain and The Isle of Wight in search of their family Roots. She was also a member of Ancestry.com and continued her research until her death. Peggy is survived by three sons, Richard Tynan Reed and his wife, Carol of Bedford, MA, Robert Burrows Reed and his wife, Mary, of South Yarmouth, MA, and Douglas Edward Reed and his wife, Missy of Stow, MA; a daughter, Virginia Anne Reed Brett and her husband Neil of North Grafton, MA; six grandchildren, Colleen Reed-Clancy and her husband Felim, Patrick and his wife, Theresa, Emily, Kiran, and Tynan Reed, and Gregory Brett; and two great grandsons, Griffin Thomas Reed and Xavier Jacoby Reed. A Funeral Mass will be held at 11 a.m. Wednesday April 10 in Our Lady of the Cape Church, 468 Stony Brook Rd., Brewster. Interment will be held at 12 p.m. Thursday April 11 in the Immaculate Conception Cemetery, 712 Grove St., Montclair, NJ. Visiting hours will be held from 3 to 5 p.m. Tuesday April 9 in the Hallett Funeral Home, 273 Station Ave., South Yarmouth. As an expression of sympathy, memorial donations may be made to the Cape Cod Genealogy Society, www.capecodgeneaology.org or to the charity of one’s choice. Aunt Peggy, my amazing and loving godmother. I am confident that she and Uncle Len are laughing and dancing along side my parents, all three having predeceased her but waited for her with welcoming arms. Godspeed, Aunt Peg. You will be missed here on Earth. Peggy was a second mother to me. She was generous of spirit and never failed to have my best interests at heart. Her flow of thoughtful newspaper clippings always brought a smile to me. I will miss her wisdom and insight, and especially her dry wit. She truly made me feel like I was a welcomed member of the Reed clan.